2015 Porsche Cayenne S E-Hybrid review | What Car? The Porsche Cayenne is selling better than ever in the UK, spurred on by buyers' insatiable appetites for SUVs and customers for its baby brother, the Macan, spending the extra when they're told the daunting waiting list for that car. The recent face-lift isn't doing any harm to sales either, of course, and the revisions included a new environmentally friendly edition to the line-up: the Cayenne S E-Hybrid. In effect a replacement for the old Cayenne Hybrid, the new model uses more advanced electric motor and battery technology from the Panamera E-Hybrid, with a 328bhp supercharged 3.0-litre V6 petrol engine paired up with a 94bhp electric motor and plug-in capability. The combined output of both motors is 410bhp and 434lb ft of torque, enough to take the greener Cayenne from 0-62mph in 5.9 seconds, and on to a top speed of 151mph. The plug-in technology helps the E-Hybrid to some even more startling efficiency figures, though; it can travel for up to 22 miles on electricity alone (depending on the road and driving style), and its average fuel economy is 83mpg. Meanwhie, CO2 emissions are just 79g/km, making the E-Hybrid's pricing particularly interesting. At £61,474 before the Government grant is taken into account, it costs exactly the same as the fearsome V8 Diesel S, while offering massive potential savings for company car drivers. Can the rest of the package support the financial benefits? What's the 2015 Porsche Cayenne S E-Hybrid like to drive? Keep the Cayenne S E-Hybrid in its regular 'hybrid' mode and it all feels remarkably normal. 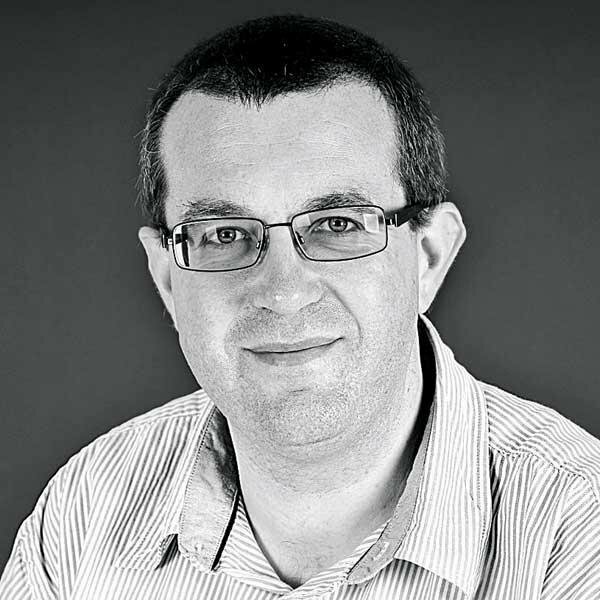 The car's systems decide when to switch between petrol power, electric power and combined power, and it does a good job of managing the transitions in the powertrain and the eight-speed automatic gearbox. You'll notice the rev-counter bouncing up and down as the combustion engine turns on and off, and a small amount of judder as it does so, but the gearshifts are smooth. Pure electric mode is impressive, too; the Cayenne pulls away with a bit of electric motor whine, but it has enough capacity to take you up to the sort of speeds where this is easily drowned out by a mixture of wind noise (particularly from around the door mirrors) and road roar. It's still not as serene on the move as a Range Rover, though. The overall feeling of 'low-down shove' is less than you'll find in the fearsome Cayenne Turbo, of course, and a step down from the V8 diesel edition, too. However, the S E-Hybrid still has plenty of performance on tap, and when the electric motor joins forces with the petrol engine it has more than enough shove for all but the most optimistic of overtaking manoeuvres. As with many hybrids, it'll take you a while to get used to the Cayenne under braking; there's less engine braking than normal, and you can't coast to a halt as you would in an EV like a BMW i3. The tricky brake pedal modulation is probably the weakest point of the package. Should you have a city at the end of your journey that requires all-electric motoring for town centre access, you can flick a switch marked E-Charge and the car will run the petrol engine a little harder than necessary, using the excess performance to top up the battery. Porsche says this process can bring a flat battery back up to 80% charge within around half an hour. 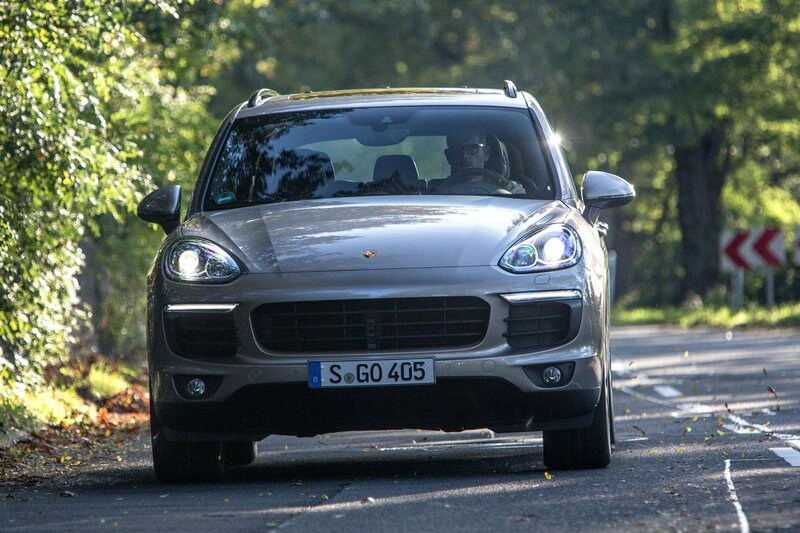 The Cayenne's steering strikes a solid balance between weight, feel and accuracy. We'd go as far as to say there's nothing else in the SUV class to match it; it's a notch above the set-up in the Range Rover Sport, for example. The unavoidable gain in weight over regular Cayennes does affect the car's agility – it's not quite as crisp as its stablemates, which are the benchmark for SUV handling – but the E-Hybrid is still far more capable on twisty roads than something this large has any right to be. Our car was fitted with air suspension, and you'll want to keep it in its most comfortable setting to dial out the worst road imperfections. There's no doubt that the increased weight also plays its part here; go for any of the other settings and you soon notice more bumps being transmitted through to the cabin. It's just about acceptable in the Comfort mode, though. What's the 2015 Porsche Cayenne S E-Hybrid like inside? There's very little to distinguish the E-Hybrid's cabin from those you'll find in the other Cayennes. The instrument panel incorporates an extra element to show you when you're running on electric power or at optimum efficiency, and there are a couple of extra buttons to allow you to select pure-electric mode or tell the car to replenish the battery on the move. That aside, it's familiar fare, which isn't a bad thing because the Cayenne's cabin is reasonably spacious and very well finished. It's easy to get comfortable behind the wheel, thanks to eight-way electrically adjustable seats which come as standard, and there's plenty of room for tall adults to stretch out up front. The rear is slightly more spacious than a Range Rover Sport, but still better suited to three children than three full-sized adults, because the middle seat has to cope with a raised transmission tunnel. Two grown-ups should be comfortable in the back, though, with plenty of head- and legroom. The boot isn't as spacious as the Range Rover's, though, and the load bay is comparatively short, although there's more than enough space for a huge weekly shop or even a family's holiday luggage. The rear seats split 40/20/40 and fold nearly flat, should you need to open up the cabin, and models with air suspension can be lowered by 52mm at the rear to help with loading heavier items. The fascia is beautifully made and finished, but there so many buttons that you need to search for almost every function instead of accessing them by touch. You get a 7.0-inch touch-screen as standard but navigation and Bluetooth connectivity are still expensive options. The screen itself is quick to respond but the interface looks a bit clunky compared with the likes of BMW's excellent iDrive system. It's worth noting, incidentally, that the Cayenne S E-Hybrid is charged using a Type 2 Mennekes socket but that only a 3.6kW connection is standard. You need to pay more to upgrade that to 7.2kW and, worse still, Porsche has no plans to offer the even faster DC capability that could be useful at the expanding network of CCS charging points in the UK. Sat-nav and Bluetooth aside, the standard kit list is decent, with a powered tailgate, front and rear parking sensors, cruise control, climate control and LED daytime running lights all included. The Cayenne E-Hybrid isn't the most rounded of editions in the line-up; it doesn't handle as well as its stablemates, it's not the fastest Cayenne and in real-world conditions we doubt if it'd be the most economical. Private buyers are unlikely to be swayed by the £5000 Government grant saving on the list price, either. However, it does boast a stunning set of official CO2 figures that make it a stand-out offering for those lucky company car choosers who are allowed to pick a Porsche. A 40% taxpayer would save almost £6000 by picking an E-Hybrid over the V8 diesel, for example, and even as the rules close that gap in years to come, the annual difference will still be almost £5500 going into 2017. Compared with rival V6 diesels, the E-Hybrid still looks an appealing company car option. Its savings over the Range Rover Sport SDV6 are huge, and even compared with the Cayenne V6 diesel, it's around £2500 per year cheaper for a 40% taxpayer. Those are hard savings to ignore, so for all the E-Hybrid's foibles and the specificity of its appeal, it may yet just about merit the same four-star rating as its V8 diesel brother. We'll need to check ride comfort on UK roads before lifting it above the other editions, though.